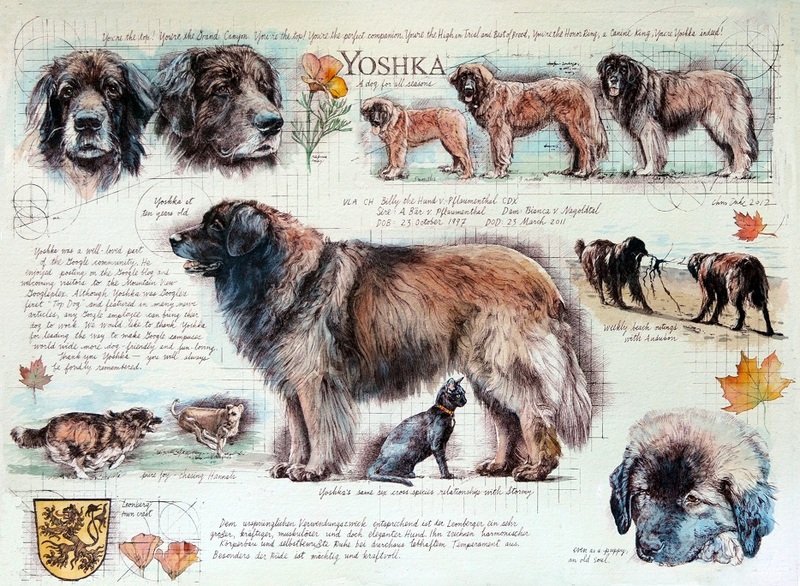 Yoshka, Google’s first “Top Dog,” spent many happy years greeting guests and clients at the Googleplex, where the cafeteria is even named after him. I did many pieces of art of Yoshka. This is the most involved, depicting happy scenes from many periods in his life. I loved drawing Yoshka!